What if Pinterest used Imagga's multicolor API? At Imagga we really like to come up with fun ideas of different use cases for our technologies. This is how “What if” blog posts seriese have been born. Filtering by selected colors will bring more specific results for example in design, architectural, crafts, fashion, food and etc. pinboards. We all love stylish clothes. Pinterest has a lot of fashion pinboards and companies use that to sell their products. This is how Pinterest itself generates most of it’s incomes. Wouldn’t it be cool if you can use color filters to find the most suitable clothes that meet your style requirements? Think about it ladies and gentelmen! This will result in better visibility for all retailers trying to sell clothes on Pinterest and of course more profitable business model for Pinterest. Creating pinboards by color type. Imagine that you like a yellow sneakers and want to search and collect images of that color in one pinboard. How you can do it – of course with some smart color search. 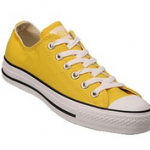 Just typing sneakers and selecting yellow from color palette and the magic happens! 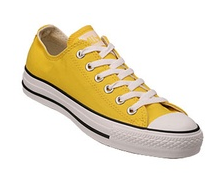 I know, you can type yellow sneakers and get similar results, but not every time the results are relevant enough. Here an example of that kind of search – http://pinterest.com/search/pins/?q=%22yellow+sneakers%22 – a lot of irrelevant results. Lots of pinboards are created for visual inspiration – weddings lets say. It will be really great if Pinterest automatically detects the predominant colors in sertain set so you know it fits your color preferences. This gives another dimention in organizing images not just by styles, topic but also color plate. Handy for interior designers, color lovers, event organizers, etc. We, that can easily be done with Imagga’s Color API. I really think that some smart multicolor search technology will be great asset for Pinterest. This may significantly increase the user experience of that great image service. Well, this are just ideas of how to implement our technologies. Probably Pinterest have all that in mind and pipeline. We also have some other smart technologies that are still in development mode – auto-tagging and visual similarity search to mention few. The combination of these APIs can bring even more context and make pinterest-like projects way more intuitive to navigate. If you have some cool ideas for image intensive projects, have a look at our APIs, request FREE trial account and start hacking! We will be more than delighted to help you out!